I have decided to take a turn from the regular to talk about my new beauty obsessions. I guess we should start at the beginning. I have very short, stubby eyelashes and all of this Latisse talk got me thinking, maybe I should try one of these miracle serums. The only thing holding me back was the possibility of side effects, darkening of my eyelid/change of eye color, etcetera. These seem like pretty extreme risks to take for only a millimeter of eyelash growth. Well not long after these ponderings, a friend of mine with long fabulous eyelashes approached me and told me I should use "Rapid Lash." I asked her about the side effects and she told me she is on her third bottle with no side effects at all. My kind of product. 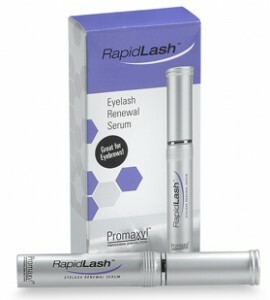 Well, I bought Rapid Lash for $49.99 at Bed Bath and Beyond and have been using it since the beginning of July. The results are incredible. I have had no side effects, and my lashes are noticeably longer. My mother has even commented that you can actually tell I have eyelashes now. I would say the results are pretty incredible and I definitely recommend it. I really wish that I had taken before and after shots to show you. 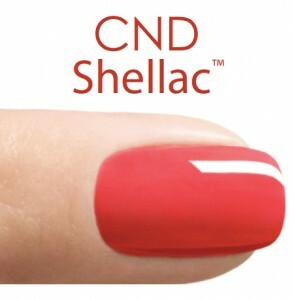 The next product I would like to share is CND Shellac Hybrid Nail Color. ﻿It is a mix between regular nail polish and UV gel polish. It is applied at your salon using a base coat, two polish coats and a top coat. You ask what's so exciting about this polish? Well let me tell you. It stays on for two weeks without chipping or smudging and requires no dry time. Between each coat of polish, you place your nails under a UV light, this creates a high shine result that lasts for weeks. It has been over two weeks and my toenails are still insanely shiny and look like I have just come out of the salon (this is also after attending a ball game wearing cowboy boots a size too small). Highly HIGHLY recommend CND Shellac Hybrid Nail Color. The next product from my beauty bag, Arbonne Thermal Fusion Mask. One of my great friends has recently started selling Arbonne products. 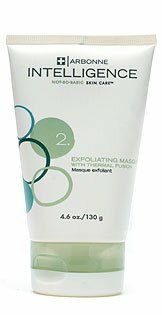 I have never used anything from Arbonne besides a body scrub I stole from my sister a few years back (which I love). Well, I attended an Arbonne party and was talked into purchasing the Thermal Fusion Mask by a few of my friends that had previously purchased the product. Let me tell you, this mask definitely lives up to the hype. You apply the mask to your dry face in circular motions. You then add water to your fingertips to activate the thermal aspect of the mask. You can leave the mask on for up to five minutes then rinse with warm water. Let me tell you, my face has never felt as smooth as it did after using this mask. The difference in skin texture is incredible after using this product. You will be left touching your face for days. Last but not least, I'll share a few of my favorites in my makeup bag right now. Much like the original Lash Blast, only is adds volume as well as length. After using Rapid Lash and applying two coats of this formula, my lashes are starting to look like falsies. I also love the waterproof version of the original Lash Blast, it's almost impossible to remove, perfect for the beach. 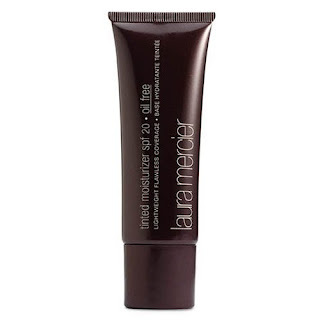 Coverage, moisturizer, and oil-free SPF, what more could you need in a product? The perfect subtle, sun-kissed glow for my fair to medium skin. I am definitely a lipstick wearing girl. Unless you are Jennifer Lopez, I recommend wearing lip color. I can't help it, it just makes everyone looks healthier. This color is PERFECT. My mother has been wearing it for years and has me hooked on it. It basically is the exact color of my sisters perfectly natural bee-stung lips (which my mother and I try to emulate), very natural. Last but certainly not least, this miracle pencil. It's the intensity of a liquid eyeliner, with the precision of a pencil eyeliner. My friend Chandler from peoniespillowsandeats got me hooked. What are your favorite beauty products? I'm always looking to try new things. Have a wonderful weekend!